After nearly five months of regular season and playoffs, the American Basketball Association Finals have finally arrived, and the four combatants are no strangers to each other. The second-seeded Jacksonville Giants (27-4) will face the third-seeded Miami Midnites (17-4) in Game One of the Finals Tuesday at 6 p.m. at Hirsch Memorial Coliseum, the fifth time the two squads have squared off this season. The top-ranked and defending champion Shreveport-Bossier Mavericks (28-0) will square off with the fourth-seeded Chicago Steam (19-1) in the late Game Two, slated to tip-off at approximately 8 p.m. 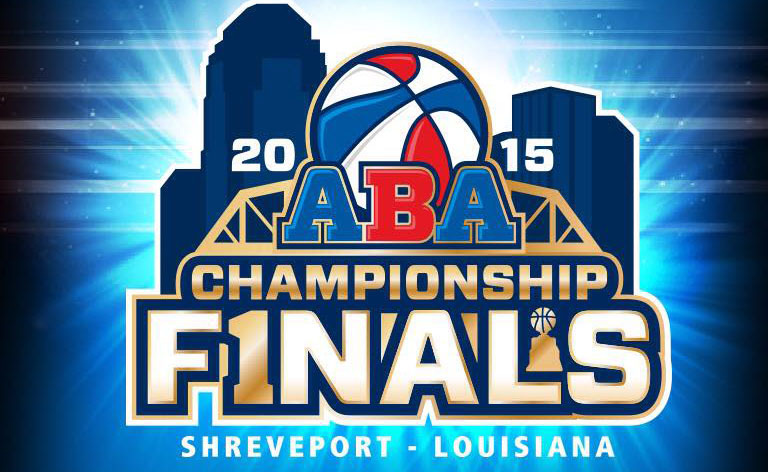 This is Chicago’s second straight trip to the Finals in Shreveport, and fourth time overall they have been in the ABA’s Finals. The teams will face off in a double-elimination format on Tuesday, Wednesday and Thursday, with the remaining teams meeting in the best two-of-three Championship Series Saturday, Sunday and Monday (if necessary). The Midnites, who are playing their inaugural season in the ABA, and the Giants split their season series, though one game was called in the fourth quarter after several brawls broke out between the two teams. Miami picked up wins on February 11 at Miami (104-96) and March 8 at Jacksonville (110-101 in the regular season finale). The Giants prevailed February 2 (102-87) and March 7 (96-86) in the shortened contest. All four of Jacksonville’s losses this season have come at the hands of Miami and Shreveport-Bossier. The Steam storm into Shreveport after winning the North Central Conference of the ABA for the eighth season in a row. Led by former long-time Vancouver/Memphis Grizzlies assistant coach Mitchell Anderson, the team has assembled a tough team to compete for this year’s title. The Steam will have all they can handle in their first game, as the host Mavericks have won 88 consecutive games dating to when they were located in Southeast Texas. The Mavericks are the deepest team in the ABA, featuring nine players that averaged double figures in scoring. “The Silent Assassin”, Josh Pace, was the first player in ABA history to win the league MVP award and the Finals MVP in the same season when he pulled the feat with the Mavs in 2009-10. Pace led Shreveport-Bossier in scoring with a 17.7 points per game average. Defensively, the Mavericks are stifling, with “The Twin Towers” of Big Jon Rogers and Brandon Davis controlling the paint while wing players like Jermaine Blackburn, P.J. Couisnard and Pace swarm to create turnovers and fast-break opportunities. Several Mavs players spent time with Jacksonville, including flashy guard Anthony “A-Train” Jackson. Jackson scored 40 points in the deciding game of last season’s championship series against the Mavericks before joining the team last offseason. For his Midnites, Wilcox concurs.